The Economic and Financial Crimes Commission, EFCC, on Monday alerted members of the public on the new tactics that car thieves have been using to steal cars from car dealers and individuals. 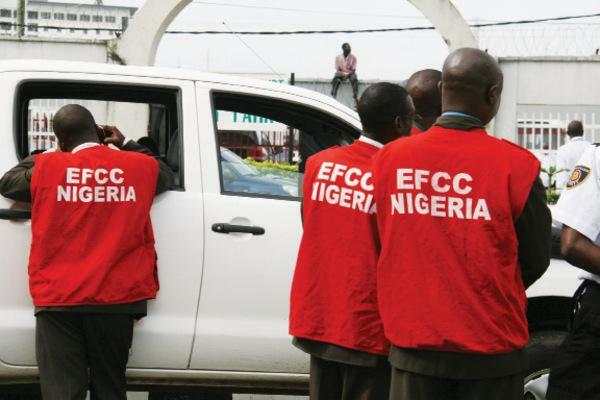 The new tactics, according to EFCC, involved the issuance of dud cheques and going to banks to deposit the money in the dealers or individuals’ accounts. The car thieves would return to the dealer or individual with authentic bank deposit slip with bank stamp on it, only for the bank to call the dealer later that the cheque bounced because of insufficient money in the depositor’s account. The agency in a release issued by its Ibadan Zonal Office stated further that the cheques they had been issuing were stolen ones, which on many occasion, the cheque owners would have launched official complaints to the police on the loss of the cheque book or some leafs in the cheque book, adding that the thieves would pretend as if they are the owners of the cheque. Babatunde, who hails from Odo Eri, Yagba West Local Government Area of Kogi State, was recently arrested by the Ibadan Zonal Office of the commission for alleged conspiracy, stealing and issuance of dud cheque following a petition received from Mr. Kamoru Yekini on November 21, 2018. The petitioner had alleged that on October 16, 2018, two men approached him at his shop at Iwo town, Osun State, to indicate interest in purchasing a 2006 Toyota Matrix car he displayed for sale. After negotiation for the price, the parties agreed on N1,580,000 and a post-dated First Bank cheque was issued supposedly to cover the cost. The cheque bore the name Rabiu Bamidele Lateef as the account owner. Although not comfortable with the payment arrangement, the car dealer still reluctantly released the vehicle and the custom duty papers, hoping that he would contact the ‘buyer’ through his phone number should any issue arise. That led him to petition the EFCC for assistance. The commission swung into action on receipt of the complaint and recovered the car in Abuja where it was already sold to a lady for a sum of N1.8million. Further investigations tracked the car back to Babatunde, who was later arrested in his hideout in the Federal Capital Territory. While Babatunde was already in the EFCC’s custody, another complainant surfaced with a similar issue, saying on September 7, 2018, two men came to his filling station around Mokola, Ibadan, Oyo State to negotiate for a 2007 Toyota Avensis car he displayed. He further alleged that after the negotiation, they agreed for N2million. Again, Bamidele immediately issued a cheque of N2million to pay for the car. Babatunde was said to have acted as the driver to a ‘big man’ he came with. He also took the cheque to the seller’s bank to ‘deposit’ the sum and came back with a deposit slip. But before he could do that, Bamidele and his partner zoomed off with the car since the car keys and papers had already been handed over to them. The cheque with which he made the ‘payment’ was later returned unpaid and all efforts made to contact the men were abortive.